No, I'm extremely grateful that this is my 3rd year with the fund. I cannot thank the fund enough for all their support. I started cycling about 5 years ago. I have a big family background in cycling with my Dad, Uncle and both my Grandfathers all represented Ireland and raced at a very high level with appearances in the Commonwealth Games and the Olympics... because of this I simply grew up around the sport and learned to love it as much as they do. Since I stated cycling I spent my first 2 years with my local cycling club (Banbridge CC) and after that I rode for another 2 years with the Nicolas Roche Performance Team as Junior. As an U23 I moved to France and raced for 2 years for DN2 Team Amicale Cycliste Bisontine which brings me to this year where I signed for An Post CRC. An Post-Chain Reaction Sean Kelly Cycling is a UCI Continental cycling team registered in Ireland, based at Merchtem (Belgium). 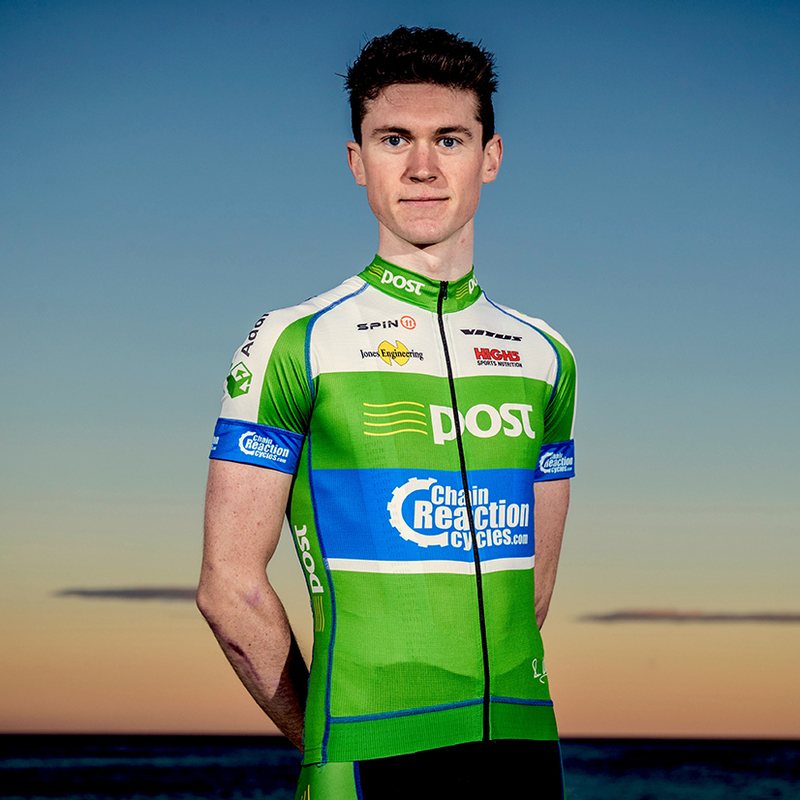 The team began in 2006 as the first Irish professional cycling team. The team is managed by Kurt Bogaerts and Sean Kelly with sports directors Neil Martin and Niko Eeckhout. The team this year are on Vitus Bikes and Spin11 Clothing. I'm a big all round sports fan and try to keep up to date with many sports.